The 4R Nutrient Stewardship Certification Program has announced that Crop Production Services, Inc.’s service groups located in Ottawa and Upper Sandusky, Ohio have been added to its growing list of nutrient service providers to achieve certified status. The Ottawa CPS facility has been in operation for over 50 years, and partners with the Leipsic facility that has been in operation over 60 years. Sixteen full-time employees and 14 seasonal employees at these locations provide services to its shared customer base for seed, chemical, nutritionals, fertilizer, soil and grid sampling, custom application, variable rate technology application and seed placement, plus field scouting. CPS’s Leipsic location is also a bulk seed terminal that supplies a number of surrounding locations. The CPS Upper Sandusky group, which consists of the locations in Upper Sandusky, Carey, and Dunkirk, services Wyandot and adjoining counties, with 85 percent of its clients/acres in the Western Lake Erie Basin. These facilities have 34 employees offering liquid and dry fertilizer 4R recommendations and custom application, anhydrous ammonia sales, agri chemical sales and application, grid soil sampling, sales and custom treating of Dyna Grow, Dekalb, Asgrow, LG, Mycogen and Syngenta brand seed, field scouting and crop tissue sampling. The program certifies nutrient service providers in the Western Lake Erie Basin that apply or make recommendations are doing so in accordance with 4R Nutrient Stewardship principles – which refers to using the Right Source of Nutrients at the Right Rate and Right Time in the Right Place. Program participants must go through an annual, independent, third-party audit and demonstrate they not only understand 4R principles, but also follow them. Approximately 2.7 million acres and over 5,600 grower customers are serviced by the 34 facilities in Ohio, Michigan and Indiana that have earned 4R Nutrient Stewardship Certification, with approximately 70 percent of those acres located in the Western Lake Erie Basin. “By participating in the 4R Nutrient Stewardship Certification Program, these CPS facilities have proven their ongoing commitment to the long-term improvement of Lake Erie’s water quality,” said Carrie-Vollmer Sanders, Nutrient Stewardship Council chairwoman. “We’re proud of Crop Production Services’ dedication and efforts in having multiple facilities go through the audit process and earn certification,” said Andrew Allman, executive director of the Nutrient Stewardship Council. MEDIA: High-resolution photos of Crop Production Services’ facilities receiving their 4R Nutrient Stewardship Certification signs are below, with cutlines. Click each photo to download. 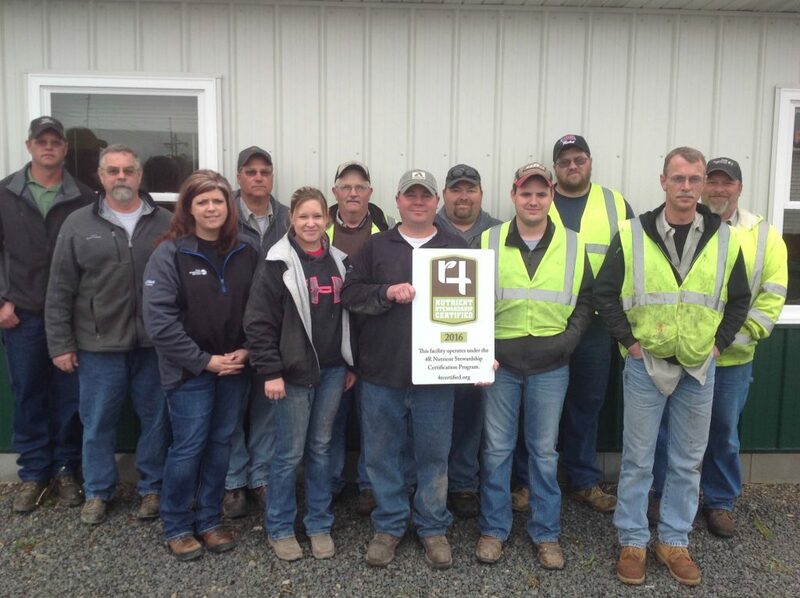 CPS Ottawa: Crop Production Services’ location in Ottawa/Leipsic, Ohio is now 4R Nutrient Stewardship Certified. Employees pictured include (from L to R), Front Row: Mandy Rump, Darin Prowant, Abby Klinebriel, Dave Steffan, Brenda Maag, Chris Niese, Andy Niese and Don Lause; Back Row: Joe Phillips, Logan Kaufman, manager Nick Morman, Brad Gerten, Nolan Fisher, Steve Goedde, Spencer Drey, Dan Bauer, and Tom Knueven. CPS Dunkirk: Crop Production Services’ location in Dunkirk, Ohio is now 4R Nutrient Stewardship Certified. Employees pictured include (from L to R): Dave Clinger, Martha Schaller, Payton Strawser, Rob Deckling, Caleb Burbach, Adam Burbach, Jim Seiler, Brenda Mattevi, Adam Hites and Dan Webb. 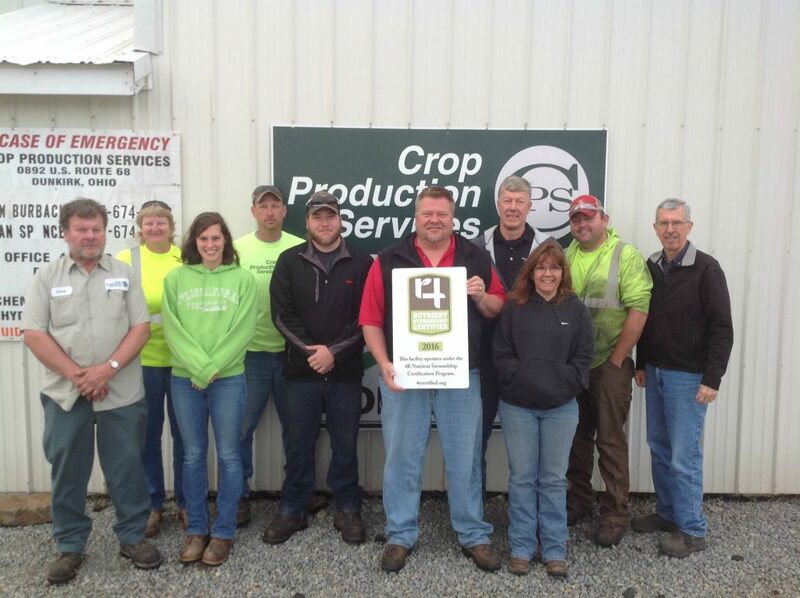 CPS Upper Sandusky: Crop Production Services’ location in Upper Sandusky, Ohio is now 4R Nutrient Stewardship Certified. Employees pictured include (from L to R), Front Row: Anna Young, Jaime Webb, Tim Wengerd, Justin Metzger and Fred Geiser; Back Row: Lance Kessler, Stan Geiser, Cliff Orians, Dan Lessig, Dave Sayre, Philip Reed and Todd Ulrich.